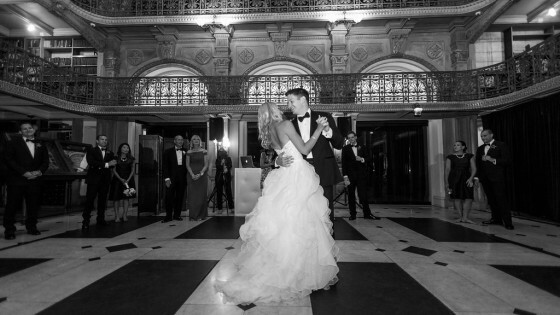 Back in July, Jason headed to the Peabody Library in Baltimore, Maryland to turn up the party for Lisa and Ross. After their first dance, Jason kicked up a Hora for everyone to join in, and then set everyone into high gear. Check out their wedding video by Dolce Studio Films, and the photos below by Jen Harvey Photography.